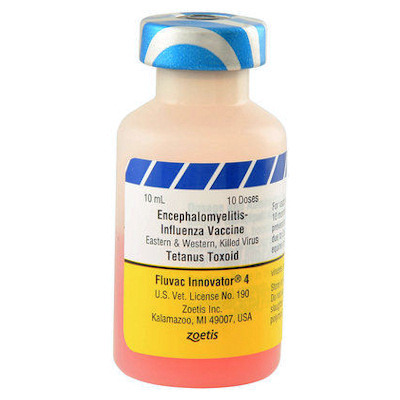 Fluvac Innovator 4 (Zoetis) is a killed virus vaccine that protects against Eastern and Western Encephalomyelitis (2-Way Sleeping Sickness),Tetanus and Flu. Give a 1ml injection initially, repeat in 2-4 weeks and annually therafter. Please Note: Syringes and needles are not included with these 10 dose vials of vaccine, they can be purchased seperately.